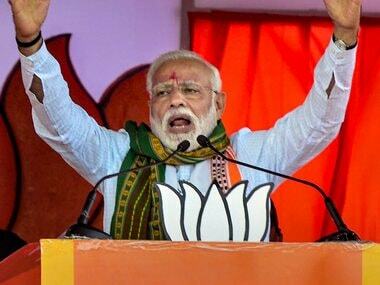 The Peoples Democratic Party-Bharatiya Janata Party government is tightening the noose around Muslims to prevent cow slaughter in the Hindu-dominated areas of Jammu region which has seen spate of mob attacks on the Muslims transporting the bovine animals for consumption. 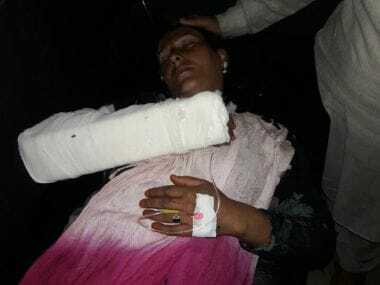 On Friday evening a mob attacked a Muslims Gujjar family in Reasi area, which has left at least five people, including two women, injured. 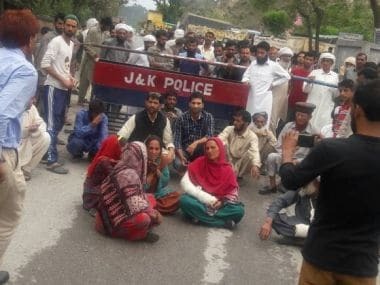 The family members, who are distant relatives of senior PDP leader and vice-chairman of Gujjar and Bakerwal Advisory Board, Chaudhary Zafar Ali, were moving with their herd of cattle to Srinagar, when they were intercepted by a cow vigilante group at Reasi and were attacked with iron rods. Police said that eleven people, who have been booked for attempt to murder, were part of the cow vigilante brigade. Mob fury erupted as they asked from the family members the permission for carrying the cow herd from the concerned deputy commissioner or additional deputy commissioner (ADC), but after the Gujjars failed to furnish any authority letter they were assaulted and women were molested. Friday's incident is among the many cases reported in Jammu where a mob has attacked cow traders and in a few cases even set vehicles on fire. Earlier in September last year, a mob set ablaze a truck carrying cattle towards Kashmir from Rajouri. In December 2015, two vehicles were also set on fire at Kalakote after being intercepted by a mob as they spotted that the vehicles are transporting cattle. In October 2015, three persons, including a policeman, received burn injuries after a Kashmir bound truck carrying the cattle was attacked with a petrol bomb at Udhampur. In November 2015, a truck carrying the cattle was torched near Nagrota on the Jammu-Srinagar national highway. President of the Tribal Research and Cultural Foundation, Javid Rahi, said that these are the incident which were reported, while as many of the cases of attacks on the Gujjar nomads by the Hindu mob go unnoticed. " The members from the Gujjar community are harrased for no reason,'' he said. The mob attack on the Gujjar family in Reasi drew widespread rage among the Muslim community and the mainstream and separatist politicians in Kashmir. 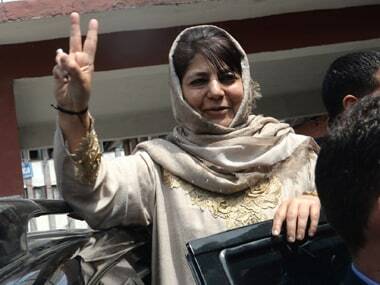 PDP's consumer affairs and public distribution minister, Chaudhary Zulfikar, condemned the incident, while Hurriyat Conference chairman, Syed Ali Shah Geelani, has accused the government of declaring a war on Muslims. 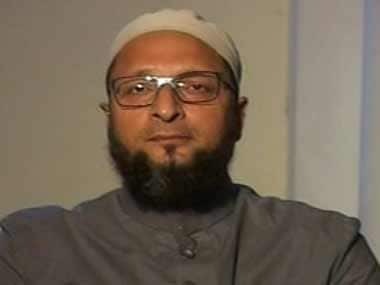 While some Muslims blame that the attacks have intensified as the BJP wants to take the political mileage out of communal polarisation, but the difference in food habits of Hindus and Muslims based on their religious faith is also believed to be the main reason for the friction among the community members. 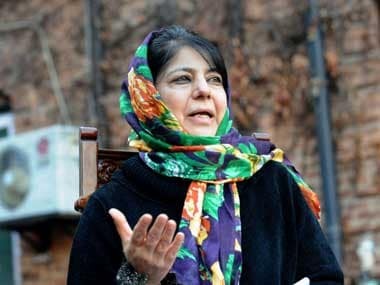 While beef consumption is allowed in Muslim majority region of Kashmir, a Dogra-era law to penalise the possession of the cow meat is being strictly enforced in Jammu. Under Section 298 (A) of Renbir Penal Code, the punishment for cow slaughter goes upto 10 years, while imprisonment is also to be awarded for possessing cow meat under section 298 (B) of the RPC. Senior Advocate, D C Raina, said, "RPC was codified during the reign of Maharaja Ranbir Singh. Under the RPC, punishment, including the fine and imprisonment, is also to be awarded for the possession of meat of buffalo. Hindus worship cow and this is clearly ordained in the Vedas as well as Upanishads,'' he said. This is unlike the Muslims who sacrifice the cows during Eid. The family which was attacked by the mob in Reasi has also been booked under Section 188 CrPC for not getting the permission from the concerned deputy commissioner, deputy inspector general (DIG) of Udhampur, Virender Sharma told Firstpost. "We have already seized the cattle. Local people had grown suspicious as the family was carrying a big herd of cows," he said. Shoib Ali, whose family was attacked on Friday, has two girls, a son-in-law and a cousin who were all injured. Shoib's nephew, Sajad Ali Khatana, said that Shoib and his family members were carrying their cattle to Kashmir when they were attacked by the cow vigilante brigade. " Shoib Ali was some distance away with the sheep and goat herd while the his son-in-law Nazakat Ali had moved ahead along with other family members when they were attacked and women were molested,'' he said. Deputy commissioners in the Jammu region have issued prohibitory orders seeking a ban on the transportation of cows and cattle without prior permission to keep a check on communal clashes. Official sources told Firstpost that once application to transport cattle has been submitted, the district administration checks who owns the cattle and a report from a veterinary officer is sought — to clarify that the cow is being used for milking purposes and not for slaughtering. Additional deputy commissioner of Reasi, Babu Ram, however said that permission was not required if the cattle, including cows, were herded along but was only to be acquired if the cattle is transported. Shoib's cousin, Khattana, said that they were only herding the cattle and not transporting it. DIG Virender Sharma said that police have however intensified the vigil to prevent cow smuggling. " We have placed barricades at different places as the incidents of bovine smuggling have only gone up. The frequency of cases which have been reported has increased,'' he added. 1Gau rakshaks attack Muslim family in Kashmir: Outdated laws used to target cow-herders in Jammu?